Ampcontrol has grown both organically and through a series of acquisitions, all of which have added capabilities to operate successfully within the resources, infrastructure, renewables and industrial sectors. Each Member Company operates with independence to Ampcontrol, still serving their traditional markets which enabled their own success. Where the true value lies is within the overall interconnectedness of these Member Companies and how any Ampcontrol customer can benefit from the specialist expertise provided through one of these businesses. This means we have a truly dynamic pool of resourcing talent within our Group, enabling us to service markets at a holistic level, from expert engineering design through to advanced manufacturing and project management. 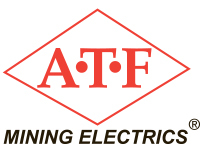 ATF Mining Electrics (ATF) became a Member of the Ampcontrol Group in 1998. Combining the expertise of both companies allowed for the creation of an Australian mining electrical design and manufacturing company capable of competing at an international level. ATF specialises in electrical systems and equipment for the mining and hazardous area sectors, specifically flameproof enclosures, components and equipment, machine electrics, overhaul services and longwall relocations and system upgrades. 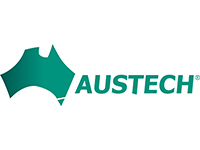 Austech is a full lifecycle solution provider of gas, flame and environmental monitoring instruments and systems. Bringing together market leading gas instrumentation with specialist engineering capabilities, Austech deliver fully customised, fit for purpose systems. From universities to medical laboratories through to commercial car parks and hazardous environments, Austech can design a solution that is cost effective and compliant to relevant standards. 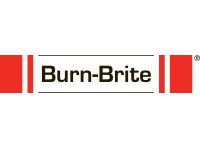 Burn Brite specialise in hazardous area lighting. Over more than 60 years Burn Brite have lead the way in the design and manufacture of specialist lighting for harsh environments including intrinsically safe, flame proof and explosion proof models. 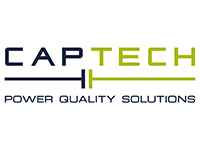 Captech is one of Australia’s leading manufacturers of power quality solutions which aim to improve power efficiency, reduce power costs and increase safety and compliance. Their range of energy management products includes power factor correction, voltage optimisation, uninterruptible power supplies, neutral earthing resistors, surge and lightning protection, specialist transformers, electrical safety, and capacitor solutions. Complete Power Solutions (CPS) National are an Australian based company that offers independent consultancy, design, integration, in-house assembly and complete managed services for integrated power systems. Operating for 20 years, CPS specialises in the design and delivery of LV and DC remote area power installations for the telecommunications, mining, rail and infrastructure sectors. Verico Asset Integrity Services is a multi-disciplined technical advisory group aimed at improving asset integrity and optimising asset life-cycle performance. By combining proven service capabilities with technical proficiency, Verico work with customers to manage the technical and economic life of assets. Their solutions support a variety of business critical activities through testing, assurance, calibration, condition and compliance monitoring.